Sec. 2. The objectives of the Society shall be the promotion of the interests of mammalogy by holding meetings, issuing serial or other publications, aiding research, and engaging in such other activities as may be deemed appropriate to the objectives. Sec. 3. The Society shall not be organized or operated for profit, and no part of the Society's net income or any of its assets shall inure to the benefit of the Officers, Directors, Trustees, or Members, except as scientific publications, Honoraria for research, special recognition, or service rendered, as approved by the Board of Directors. No substantial part of The Society's activities will consist of carrying on propaganda or otherwise attempting to influence legislation, or of participating in any political campaign on behalf of any candidate for public office. Sec. 1. The Society shall consist of Annual Members, Student Members, Life Members, Honorary Members, Patron Members, and Emeritus Members. Sec. 2. Any person may be elected to membership upon payment of dues. All annual memberships are for one calendar year. Formal election of Members takes place at each annual stated meeting. 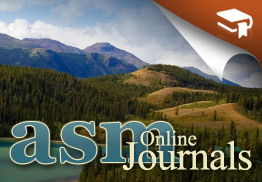 Members are entitled to participate in the business sessions of the Society, to vote for elective Officers and Directors-at-Large, to serve as Officers, to receive the Journal of Mammalogy and Mammalian Species free of charge, and to purchase at a discount most other publications of the Society. Members eligible for Student membership must be enrolled in an undergraduate or graduate degree program at the time of the payment of dues. Sec. 3. Any Member, upon payment of a lump sum or upon payment of consecutive annual installments specified by the Board of Directors, shall be entitled to Life Membership, shall be exempt from annual membership dues from the time of initial payment, and shall receive free all publications of the Society issued subsequent to election. Life Membership is conferred upon completion of payment. Sec. 4. Honorary membership is conferred by the Society in recognition of distinguished service to mammalogy. Honorary Members shall be elected by a majority vote of the Members in attendance at an annual stated meeting upon the recommendation of the Board of Directors. Such recommendation by the Directors shall require a minimum of 75 percent support of those Directors voting. Honorary Members shall be exempt from dues and shall be entitled to Life Membership and shall receive free all publications of the Society issued subsequent to election. Sec. 5. Upon payment of a lump sum or installments in an amount and payment schedule specified by the Directors, any person recommended by the Board of Directors may be elected a Patron Member. Patron Members shall be entitled to Life Membership and shall receive all publications of the Society issued subsequent to election. Sec. 6. Individuals who have been for twenty-five (25) years Members in good standing of the American Society of Mammalogists shall be eligible for Emeritus Membership at their request and shall be exempt from dues. Such membership will not carry with it the right to vote, or the right to receive the Journal free. When a Member is eligible for Emeritus membership and is in arrears for dues, the Secretary-Treasurer shall notify the Member indicating that it is necessary to request such change in membership rank. At each annual meeting the Secretary-Treasurer shall report to the Board of Directors, for their approval, the names of Members who are to be added to the Emeritus membership list. Sec. 1. Elective Officers of the Society shall be a President, President-elect, Vice President, Recording Secretary, Secretary-Treasurer, Publications Director, and Program Director. These, together with the Chair of the Trustees, the Past Presidents, and 18 Directors-at-large shall constitute the Board of Directors. Sec. 2. The President-elect, Vice President, and Recording Secretary shall be elected for two-year terms. At the end of that term, the President-elect shall become the President, and shall serve for an additional two-year term. The Vice President and Recording Secretary may continue to serve in these offices for additional terms or may be nominated and elected to serve in other offices. Persons who have served as President may not be reelected to the position of President-elect. Directors-at-large shall be elected for three-year terms and may be reelected. Six Directors-at-large shall be elected each year. A petition indicating no confidence that is signed by 20 percent or more of the Members present at an annual stated meeting. Such a petition shall require the Board to submit the question of confidence electronically to the membership for a vote. Passage shall require a majority of those Members voting. Sec. 4. In elections of President-elect, Vice President, and Recording-Secretary, a majority of members present at the annual meeting shall elect. In cases of multiple candidates, a clear majority of one-half plus one of the votes cast shall elect. In the absence of a clear majority, a second ballot shall determine the election of 1 of the 2 nominees receiving the greatest number of votes on the original ballot. Sec. 5. In annual elections of Directors-at-large, each Member may vote for 5 of the Members nominated as candidates in an initial round of nominations. The five nominees receiving the greatest total number of votes shall be declared elected. In addition to the election of these 5 Directors, an additional Director shall be elected from student nominees. To be eligible for nomination as a student, the Member must be enrolled or accepted for enrollment in a college or university in the Fall Term following the meeting at which the election is taking place. Directors elected from the pool of student nominees are eligible to complete their full term regardless of continued student status, and may be re-nominated for a student Director position as long as they retain student status. b) A petition indicating no confidence that is signed by 20 percent or more of the Members present at an annual stated meeting. Such a petition shall require the Board to submit the question of confidence electronically to the membership for a vote. Passage shall require a majority of those Members voting. Sec. 7. No Member may hold two offices concurrently, except for a Past President, who may serve as Recording Secretary, Secretary Treasurer, Publications Director, Program Director, or Chair of the Trustees, but will not be entitled to more than one vote. Sec. 8. Vacancies among the Officers or Directors-at-large may be filled temporarily by appointment of the Board upon recommendation from the President, and persons so appointed shall hold office until their successor shall have been elected. Sec. 9. Only the President is empowered to speak for the Society, and shall preside over the Board of Directors and at the Members’ sessions of the Society. It shall be the President's responsibility to appoint chairs of all committees and approve all committee members. The President may organize, charge, and discharge ad hoc committees as needed in the conduct of affairs of the Society. Sec. 10. The President-elect shall serve in the absence of the President. Sec. 11. The Vice President shall serve in the absence of the President and President-elect. Sec. 12. The Recording Secretary shall keep the minutes of the Board meetings and the Members' sessions of the Society, and shall ensure that the substance of the Society's actions is published in the Journal of Mammalogy and that a hard copy is placed in the ASM archives. Sec. 13. The Secretary-Treasurer shall be the Executive Officer of the Society under the general direction, and subject to regulations of, the Board of Directors, and shall be bonded at the Society's expense in the amount specified by the Board. The Secretary-Treasurer shall conduct the business affairs of the Society, issue notices of annual or special meetings, present financial reports to the President when requested and an annual report of the activities of the Executive Office, including an audit, to the Board and the Society at the annual stated meeting. The Secretary-Treasurer shall, subject to regulations of the Board, be responsible for all funds of the Society, except for the Reserve Fund, which shall be under the supervision of the Trustees (see Article IX). The general fund accounts shall be subject to the signature of the Secretary-Treasurer. Sec. 14. The Publications Director shall be responsible for all matters relating to publications of the American Society of Mammalogists. The Publications Director shall serve as the chair of the Publications Advisory Board composed of the working editors. Sec. 15. The Program Director shall be responsible for the planning and execution of meetings of the American Society of Mammalogists and will serve as chair of the Program Committee. Sec. 16. The Board of Directors shall be the executive and policy-making body of the Society. Their duties shall include election and re-appointment of the Secretary-Treasurer, Publications Director, Program Director, and Trustees, and election of Editors upon recommendation of the Publication Advisory Board. The Board shall adopt a budget based on recommendations from the President, and shall approve in advance the proposed annual expenditures of special funds other than the Reserve Fund. The Board shall advise the President on affairs pertaining to the Society, and carry out responsibilities vested in them as indicated in other articles of this instrument. Sec. 1. An annual stated meeting shall be held in each calendar year, ordinarily in June. The place of meeting shall be selected at an annual meeting at least two years in advance by a majority vote of Members in attendance at that annual meeting. In the event of no decision, or in case of emergency, the Directors are empowered to act. Notice of the stated meeting shall be made in the Journal of Mammalogy. Sec. 2. A special meeting of the Board of Directors may be called at any time by the President, or by the President-elect President serving in the President's absence, or by the Vice President serving in the absence of both the President and President-elect. A special meeting of the Society may be called at any time by order of a majority of the Board, provided that notice of the purpose, place, and date of the meeting is given to the Membership electronically at least 30 (thirty) days in advance. Fifty Members shall constitute a quorum of the Society present at a meeting, and one-third of the Board of Directors is a quorum of the Board. Action by a quorum at an annual stated meeting or a special meeting shall constitute action by the Society. Board members may also meet electronically, and Board members responding electronically shall be considered to be present at the meeting. In the case of electronic meetings of the Board of Directors, precautions should be taken to assure that: a) deadlines for responses are clearly established; b) deadlines for responses from Board members should be reasonably arranged so that short response times are avoided, especially with complex or controversial issues; and c) confidentiality of voting is respected as is appropriate for the issue at hand, and that the Board is informed about confidentiality procedures being applied in each instance. Amendments to these Bylaws, recommended by the Board, may be adopted at any annual stated meeting by a two-thirds vote of the Members present and voting, provided that notice of proposed amendments has been made available to each Member at least two months before the meeting. Upon recommendation of the Board of Directors, Rules may be adopted, amended, or repealed at any annual stated meeting by two-thirds vote of the Members voting. Sec. 1. Standing committees shall perform continuing functions of the Society requiring action between annual stated meetings. Other than the Program Director and the Honorary Membership Committee, all committee chairs and committee members shall be appointed by the President. Sec. 2. The Chair of each standing committee shall report to the Society at each annual stated meeting. Sec. 3. Ad hoc committees may be established at the discretion of the President or by a majority vote of the membership in attendance at a Members Meeting. Ad hoc committees cease to exist when their charge is completed, or as determined by the President. Sec. 1. A Board of three Trustees, appointed by the Board of Directors, shall hold all of the funded property of the Society in trust with power to sell and to reinvest according to their judgment. Trustees shall be bonded at the Society's expense in an amount specified by the Board of Directors. Sec. 2. One Trustee shall be appointed for a term of three (3) years at each annual stated meeting. The Trustees shall select their Chair, who shall be a voting member of the Board of Directors. Vacancies among the Trustees may be filled by election at any time by a majority vote of the Directors voting. Sec. 3. As the legal trustee of the Society’s Pooled Income Fund, the Board of Directors shall appoint three persons to act as trustees of this fund, under the same conditions specified for Trustees of its Reserve Fund in Sec. 2, except that the chair, as such, shall not be a voting member of the Board of Directors. A report of the Pooled Income Fund shall be presented to the Board of Directors annually. The Pooled Income Fund may be overseen by the ASM Board of Trustees rather than a separate set of Trustees unless the Board of Trustees recommends a different arrangement. Sec. 4. The Chair of the Trustees shall present an annual report to the Board of Directors on the status of both the Reserve Fund and the Pooled Income Fund. Sec. 1. The funds and properties of the Society under the control of the Trustees shall be designated collectively as the Reserve Fund. A part of the Reserve Fund may, with the approval of the Board of Directors, be returned annually to the Secretary-Treasurer for the conduct of the Society's business. This annual payment need not be exactly equal to the sum of interest and dividends received. Sec. 2. All moneys received from Life Members and Patrons in consideration of their election as such, and all gifts for unrestricted or restricted purposes approved by the Board of Directors, shall be allocated to the Reserve Fund for investment. Sec. 3. Bequests and trusts having for their object the advancement of mammalogy or the welfare of the American Society of Mammalogists may be accepted and administered by the Society. Before acceptance of any such trust, the Board of Directors shall consider the object of the trust and all conditions and specifications attached thereto, and shall report its action to the Society. Bequests shall be added to the Reserve Fund of the Society and managed by the Trustees. Trusts shall be managed as agreed to in the trust instruments. Sec. 4. Both the principal and income of the funded property of the Society shall be used solely to further study and dissemination of knowledge of mammals, as set forth in the Name and Objectives of the Society (Article 1); but the funded property shall be administered and operated in such a manner that it will at all times maintain a tax-exempt status under the provisions of the United States Internal Revenue Code, both for income tax and gift tax purposes..
Sec. 1. The Pooled Income Fund is an investment option that provides donors with tax advantages when they give stock, cash, or other property to the Society and receive income from that gift after it is invested by the Board of Trustees. After the death of the donor, the contributed asset is transferred to the Reserve Fund. Sec. 2. The object of the Pooled Income Fund shall be to facilitate further growth of the Reserve Fund for the purposes specified in Article X, sec. 4. Perpetual operation of the Society is contemplated hereby, but in the event of dissolution, the Board of Directors at the time shall distribute assets and accumulated income for such charitable, scientific, literary, or educational purposes as in their judgment qualify under the provision of the Internal Revenue Code. Nominations shall be made from the floor for Officers in the following order: President-elect, Vice-President, and Recording Secretary. Nominations shall be made and closed for each office. The balloting shall be completed and the results reported to the membership before proceeding to the nomination for the next office herein above specified. Following the election of Officers, nominations shall be made from the floor to fill the 6 vacancies on the Board of Directors. Nominations for the Board of Directors shall be done at the first members meeting and the election of the Board of Directors shall be the first order of business at the second members meeting following the posting of qualifications of the nominees. Balloting for Officers elected by the membership and Directors shall be as specified in Article III, Sections 4 and 5. Voting shall be by secret ballot, and no proxy votes are allowed. Reading and approval of the minutes of the previous meeting. The actual reading may be suspended if a motion is made and seconded by any member present and approved by the majority. Appointment of temporary committees and tellers. Election of nominees to Membership. Report and recommendations of the Board of Directors. Consideration of amendments to the Bylaws and Rules. Reports of representatives to other societies. Final presentation and vote on resolutions, except for the host resolution. Selection of next place of meeting. Annual dues for Members shall be set by the Board of Directors and are payable in advance. Members whose dues are in arrears shall not be entitled to receive Society publications, participate in members meetings, or serve on Society committees. The names of Members whose dues are in arrears for more than one year shall be presented to the Board of Directors for action. Such individuals are not eligible to vote, or serve on committees or as Officers or Directors. Parliamentary procedure not covered in these Bylaws and Rules shall follow Robert’s Rules of Order. The President may designate a parliamentarian. ASM's Current Bylaws may also be downloaded here in Adobe PDF form.